Apollod. 1.9.1-1.9.2: Athamas and Ino and their children. 2.2.2: How the daughters of Proetus were driven mad; cf. the version of Bacchylides, below. 3.4.3-3.5.1: The birth of Dionysus and the spread of his worship. 11.39-11.112: How Hera drove the daughters of Proteus mad. Cyc. 1–95 [or the entire play]: Silenus and his satyr sons must serve the Cyclops Polyphemus. Hdt. 2.46.1-2.49.3: Pan and Dionysus. 3.8.1-3.8.3: The Arabians’ worship of Dionysus and Aphrodite. 6.105.1-6.105.3: Pan and the Athenians. Hom. Il. 6.130-6.143: The punishment of Lycurgus for attacking the Bacchae. Hyg. 2: Ino and Melicertes. 130: Dionysus, Icarius, and Erigone. 134: Dionysus and the Pirates. 179: Semele Is Incinerated by Zeus. Ov. Met. 1.689-712: Pan and Syrinx. Met. 3.341-510: Echo and Narcissus. Met. 3.511-733: Pentheus [including an account of Dionysus and the Pirates]. Paus. 1.20.1-1.20.3: Much varied information about works by Praxiteles and about Dionysus. 1.21.1-1.21.2: Dionysus, Sophocles, and Aeschylus. 1.23.5-1.23.6: Silenus, Sileni, and Satyrs. 2.2.6-2.2.7: Wooden statues of Dionysus and the legend of Pentheus. 2.23.1: The playwrights and Dionysus. 2.37.5-2.37.6: The lake where Dionysus brought Semele back from Hades. 3.24.3-3.24.4: A different version of Semele and the birth of Dionysus. 6.24.8: A temple of Silenus; Silenuses. 6.26.1-6.26.2: The Elean festivals of Dionysus, the Thyia. 7.21.1-7.21.6: The story of Coresus, Callirhöe, and Dionyus. 8.37.11: A sanctuary of Pan. 9.8. 2: Myth of Dionysus goat-shooter. 10.4.3: The Thyiads who celebrate Dionysiac worship. 10.6.4: Thyia, from whom the Thyiads get their name. 10.32.7: The Corycian cave sacred to Pan. Theoc. 26: Initiation into the Dionysiac mysteries. Strab. 10.3.1-10.3.23: A long discourse on the Curetes and the mystery religions. Xen. Sym. 9.1-9.1.6: The marriage of Ariadne and Dionysus is enacted at this dinner party. Cavafy, Constantine (1868–1933). “The Retinue of Dionysus.” Poem. Cocteau, Jean (1889–1963). Bacchus. Drama. Dalby, Andrew. Bacchuss: A Biography. Los Angeles: Getty Publications, 2004. Gide, André (1869–1951). Le traité de Narcisse: Théorie du symbole (“Treatise of Narcissus: Theory of the Symbol”). Play. O’Neill, Eugene (1888–1953). The Great God Brown. Play. With Dionysus-figure in the character of Dion Anthony. Bloom, Harold. Euripides. New York: Chelsea House, 2003. Carpenter, Thomas. Dionysian Imagery in Fifth Century Athens. New York: Oxford University Press, 1997. ———, and Faraone, C. A., eds. Masks of Dionysus. Ithaca, NY: Cornell University Press, 1993. Essays on the influence of Dionysus and tragedy. Dodds, E. R. The Greeks and the Irrational. Berkeley: University of California Press, 1951. Kerényi, Carl. Dionysus: Archetypal Image of Indestructible Life. Translated by Ralph Mannheim. Princeton: Princeton University Press, 1996. Merivale, Patricia. Pan the Goat-God, His Myth in Modern Times. New York: Cambridge University Press, 1969. Otto, Walter F. Dionysus: Myth and Cult. Bloomington: Indiana University Press, 1965. For recordings about Theseus and Ariadne and the salvation of Ariadne by Dionysus see Chapter 23. Bach, Johann Christoph Friedrich (1735–1782). Ino. Cantata for soprano and orchestra. Schlick. Das kleine Konzert, cond. Max. Capriccio 110 303. Includes Pygmalion. Bantock, Granville (1868–1946). Pagan Symphony. Royal Philharmonic Orchestra, cond. Handley. Hyperion CDA66630. Also BBC Northern Symphony Orchestra, cond. Handford. Intaglio (SUISA) INCD 704-1. The words “Et ego in Arcadia vixit” (“I too have lived in Arcadia”) provide a preface to this symphony and notes refer to the opening lines of Horace, Odes 2.19, with its idyllic, bucolic picture of Bacchus and his retinue. Börtz, Daniel (1943–). Backanterna. Opera. Lindenstrand, Mattei, et al. Kungliga Hovkapellet, cond. Ingebretsen. Caprice CAP 22028: 1-2. A Swedish translation of Euripides’ Bacchae provides the basis for the libretto. An English text is also provided with this recording of the original production for TV, under the direction of Ingmar Bergman. Caprice CAP 22028: 1-2. Britten, Benjamin (1913–1976). “Pan,” “Bacchus,” and “Narcissus,” for solo oboe, from Six Metamorphoses after Ovid. Various artists. Oboe Classics. The album is subtitled Anatomy of a Masterpiece, with performances by George Caird, Joy Boughton, and Nicholas Daniel. Also, Zubicky. Simax PSC-1022. The other metamorphoses are Phaethon, Niobe, amd Arethusa. Buck, Dudley (1839–1909). “The Capture of Bacchus.” Text of this song is a poem by Charles Swain, based on the story of Dionysus and the pirates. Sperry and Vallecillo. Albany Records TROY 034-2. Includes “Narcissus,” by Nevin (see below). Bush, Geoffrey (1920–). “Echo’s Lament for Narcissus.” Song. I. and J. Partridge. Musical Heritage Society 414531K (an Original Academy Sound & Vision Recording). Campra, André (1660–1774). Silène. Cantata about Silenus for low voice, violin, and basso continuo. Koningsberger. Academy of the Begynhof, Amsterdam. Globe GLO 5055. Debussy, Claude (1862–1918). Prelude to the Afternoon of a Faun. Inspired by a poem by Mallarmé, “Prelude à l’Après-Midi d’un Faune.” NBC Symphony Orchestra, cond. Toscanini. RCA Victor 60265-2-RG (Vol. 37 of the Toscanini Collection). ———. Syrinx, for unaccompanied flute. Bourdin. Philips 422 839–2. Furrer, Beat (1954–). Narcissus. Opera in six scenes after Ovid’s Metamorphoses. Chum et al. Klangforum Wien, cond. Furrer. Musikszene Schweiz MGB CD 6143. Gluck, Christoph Willibald (1714–1787). Echo et Narcisse. Opera. Boulin et al. Concerto Köln, cond. Jacobs. Harmonia Mundi HMC 905201.02. Handel, George Frideric (1685–1759). Semele. Oratorio/Opera about Jupiter’s wooing of Semele. Battle et al. English Chamber Orchestra, cond. Nelson. Deutsche Grammophon 435 782-2. Hanson, Howard (1896–1981). Nymphs and Satyr. Ballet Suite. Rochester Chamber Orchestra, cond. Fetler. Bay Cities BCD-1005, and Pan and the Priest, Symphonic poem. ———. Pan and the Priest. Symphonic poem. World Youth Symphony Orchestra, cond. Howard Hanson. Bay Cities BCD-1009. Henze, Hans Werner (1926–). The Bassarids. Opera based upon Eurpides (Bassarids is another name for the Bacchae). Armstrong et al. Radio-Symphonie-Orchester Berlin, cond. Albrecht. Koch/Schwann 314 006. Holm, Kristin (1965–). “Dance of the Bacchae.” The first selection in a collection, Piano Music from the Nordic Countries. Klein. Classico CLASSCD 165. Holst, Gustav (1874–1934). Hymn to Dionysus. Setting of a chorus from Euripides’ Bacchae (translated by Murray) for women’s chorus and orchestra. Royal Philharmonic Orchestra, cond. Willcocks. Unicorn-Kanchana DKP (CD) 9046. Ibert, Jacques (1890–1962). Bacchanale. “Quasi-balletic” symphonic piece. Orchestre Symphonique de Montréal, cond. Dutoit. Literes, Antonio de (1673–1747). Júpiter y Semele. Baroque zarzuela. Almajano et al. Al Ayre Español, cond. Banzo. Inspired by Ovid’s Metamorphoses. Mondonville, Jean Joseph Cassanéa (1711–-1772). Les Fêtes de Paphos. Opera. Fouchécourt, Gens, et al. Les Talens Lyriques, cond. Rousset. L’Oiseau-Lyre 455 084–2. Act 2 is entitled Bacchus and Erigone, act 1, Venus and Adonis, and act 3, Cupid and Psyche. Appropriately, these love stories are set on Venus’ island of Paphos. Montéclair, Michel Pignolet de. (1667–1737). Pan et Sirinx. Cantata for voice and orchestra. Baird. American Baroque, cond. Schuktz. Koch, International Classics 3-7096-2 H1. Includes Montéclair, La Mort de Didon and Clérambault, Médée. Also Mythologie: Cantates Françaises. Forget. L’Ensemble Arion. Analekta AN 28050. Also includes Clérambault’s Orphée and Léandre et Héro and Campra’s Arion. Mouquet, Jules (1867–1946). Pan et les oiseaux, for flute and symphony orchestra. Grauwels. Symphony Orchestra of the Belgium Radio, cond. Vandernoot. Syrinx CSR 96101 (also 90101). Nevin, Ethelbert (1862–1901). “Narcissus.” The text of this song is a poem by P. C. Warren. Sperry and Vallecillo. Albany Records TROY 034-2. Includes “The Capture of Bacchus,” by Buck. Nielsen Carl (1865–1931). Pan and Syrinx. The Danish Radio Symphony Orchestra, cond. Jensen. Danacord DACOCD 354-356. This “scene from nature” is a programmatic piece inspired by Ovid. Includes Helios Overture and Hymnus Amoris. Novák, Vitĕzslav (1870–1949). Pan, a symphonic poem in five movements that evokes the spirit of this god of nature. Marco Polo 8.223325. Pan Flute. Played by masters of the modern pan flute. Budd, Kevin, Tender Pan Flute Favorites. The Beautiful Music Company BMD 1-106. Budd performs popular music. “Syrinx” Simion Stanciu, Concertos for Flute and Orchestra. I Solisti Veneti, cond. Scimone. Erato ECD 88166. “Syrinx,” plays music by Bach, Quantz, and Mozart. Orchestre de Chambre de Lausanne, cond. Jordan. Musical Heritage Society MHS 11185T (originally Erato 75187 LP). Zamfir, Opéra. Philips D 103218. Zamfir plays arias from popular operas. Many of his recordings are available. Partch, Harry (1901–1976). Revelation in the Courthouse Park. Music-drama or opera/theater. Tomato 2686552-2. The plot alternates between scenes from Euripides’ Bacchae set in ancient Thebes and parallel scenes in an American drama enacted in a courthouse park of a midwestern town in the 1950s, where the rock star Dion appears (a pop idol archetype for Elvis Presley). The original Gate 5 version of Revelation in the Courthouse Park is found on the album Enclosure Five: Harry Partch. Innova, 405. Peterson-Berger, Wilhelm (1867–1942). “Dionysos-Dithyramb” (text by Nietzsche) and “Semele” (text by Strindberg). Songs. Jonth, Brilioth, and Alin. BIS CD-42. Ravel, Maurice (1875–1937). Daphnis et Chloé. Berliner Philharmoniker, cond. Boulez. Deutsche Grammophon 457057. Music for a ballet (originally produced by Diaghilev), which has become a staple in the repertoire and is of great interest to Ccassicists. Rorem, Ned (1923–). King Midas. Cantata for voices and piano on ten poems of Howard Moss. Stuart, Walker, and Schein. Phoenix PHCD 126. About Midas and the golden touch. Roussel, Albert. Bacchus et Ariane. Music for a ballet about Theseus, Ariadne, and Bacchus, which ends with a Bacchanale. Saint-Saens, Camille (1835–1921). Bacchanale, from the opera Samson et Delilah. CSR Symphony Orchestra (Bratislava), cond. Gunzenhauser. Naxos 8.550138 (includes Le Rouet d’Omphale). Schnebel, Dieter (1930–). Pan, for flute(s). Nolte. Thorofon CTH 2190.The work is a variable concept. The version on this recording is a monody for flute with synthesizer. The sections symbolize the archetypal Pan: Awakening, Yearning and Enticement, Urging-Chasing-Scaring, Fulfillment (Ecstasy), Ennervation, Dreams, and Falling Asleep. Strauss, Johann Jr. (1825–1899). Bachus. Polka. Polish State Philharmonic Orchestra, cond. Dohnányi. Marco Polo 8.223207 (Strauss Jr. Edition, Vol. 7). Written for a festival in the Halls of Bacchus. The printed score instructs the orchestra to cry out, “Long live Bacchus!” Bacchus is in the title of several of the dance compositions of this composer. Strauss, Richard (1864–1949). Die Liebe der Danaë. Opera. Telarc. Flanigan et al. American Symphony orchestra, cond. Botstein. Also Kupper et al. Wiener Philharmoniker, cond. Krauss. Melodram MEL 37061; Grundheber et al. Kiel Philharmonic Orchestra, cond. Windfuhr. NDR Kultur CPO 999 967-2. Amalgamation of Midas with his golden touch and the wooing of Danaë by Jupiter as a shower of gold. Szymanowski, Karol (1882–1937). King Roger. Opera. Hampson et al. City of Birmingham Symphony Orchestra, cond. Rattle. EMI Classics 5 56823 2. Hiolski et al. Polish State Phiharmonic Orchestra, cond. Stryja. Naxos 8.660062-63. Skulski et al., Orchestra of the Teatr Wielki, Warsaw, cond. Satanowski. Koch Swann 314014. A moving reinterpretation of the Bacchae; the Pentheus figure is transformed into the historical twelfth-century King Roger of Sicily, who faces the emotional challenge of the mysterious Shepherd and his religious message. Tcherepnin (1873–1945). Narcisse et Echo. Residentie Orchestra, the Hague, cond. Rozhdestvensky. In 1911 the Diaghilev Ballet Company opened with the now legendary Le Spectre de la Rose and a week later performed another new ballet, Narcisse et Echo, also starring Nijinsky, with choreography by Fokine. Vinci, Leonardo. (1690–1730). La Feste di Baccho. Opera. Soprano arias from his operas, also including also “Catone in Utica” and “Didone Abbandonata.” Peters. String Quartet of the Orchestre Internazionale d'’talia, cond. Carraro. Memories DR 3109. Ancient Greece, The Traditions of Greek Culture: Bacchus the God of Wine; Firewalking in Greece. 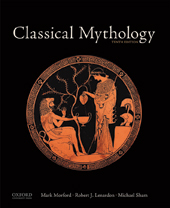 A weak English script with confusing Greek pronunciations of names, of interest only because of the connection made between modern ceremonies of fire-walking and the ancient cult of Dionysus; includes also Art in Ancient Greece; Mining in Ancient Greece, which is not about mining at all but about sculpture and confuses copper and bronze. Kultur. L’Aprés-midi d’use Faune (Afternoon of a Faun). In Paris Dances Diaghilev the Paris Opera Ballet re-creates classic Diaghilev/Ballet Russe masterpieces such as Afternoon of a Faun. Nonesuch. Also Peter Martins’ Dancer. Includes sequences of Jerome Robbins rehearsing Martins and Suzanne Farrell in his version of Afternoon of a Faun. Kultur. The Midas Touch. Film with Trevor O’Brian and Ashley Lyn Cafagna, directed by Peter Manoogian, concerns a 12-year-old boy who is granted his wish to have the Midas touch. And turns his grandmother into gold. Tango Entertainment. The Seven Faces of Dr. Lao. This fantasy film, directed by George Pal, and starring Tony Randall as the mysterious Dr. Lao with his multitude of faces including including a vision of Pan (as well as Medusa). Warner Brothers. Syrinx. Ballet choreographed originally by Nijinsky to music for the flute by Debussy (see Music) in The Glory of the Kirov, a collection of performances of the great Kirov Ballet. Kultur.